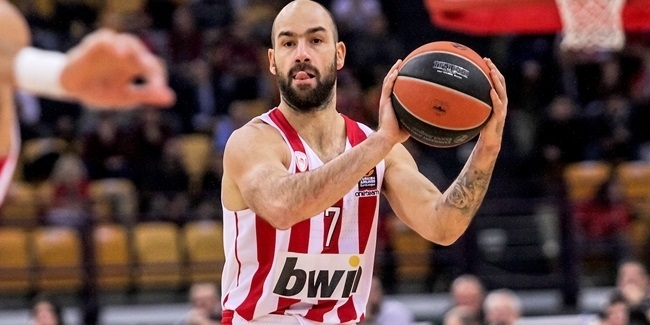 It looked to be a must-win game for Olympiacos Piraeus on Tuesday night, but it never appeared that way on the court as the Reds aced their test by crushing visiting FC Bayern Munich 89-69. It felt as if the game was never in question. Bayern got within 20-16 early in the second quarter, but Olympiacos answered with a 12-0 run and the margin never got into single-digits again and peaked at 27 points in the third quarter. 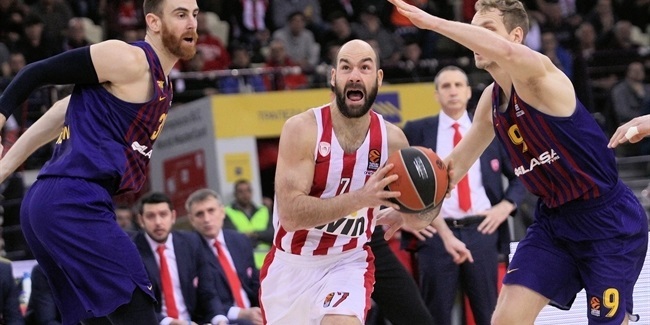 The victory is that much more impressive as it came without the Reds' mastermind, Vassilis Spanoulis, and his backcourt mate Janis Strelnieks, both injured and watching from the sidelines. But Olympiacos still blew past a dangerous opponent and a playoff rival thanks to several factors. "When you are missing a couple of main players like we are, other guys got to step up and do things, and they did," Coach David Blatt pointed out after the game. First, Olympiacos set the tone with its defense which allowed 2 points in the opening 5 minutes, and just 10 points in the first quarter. Olympiacos played good defense last week in Milan, but lost 66-57 because it was not able to facilitate much offense. However, the Reds did plenty of that last night, tweaking some of their players' roles. In the absence of Spanoulis and Strelnieks, it was Briante Weber in his fifth appearance who played a season-high 26 minutes in the backcourt and, in addition to scoring his EuroLeague-best 12 points, dished 4 assists. But taking the role of the main offensive facilitator was, somewhat surprisingly, forward Kostas Papanikolaou who tied a career-high with 6 assists while pulling down 10 rebounds. What Olympiacos did for much of the game was give the ball to its big men down low and that proved to be very effective. 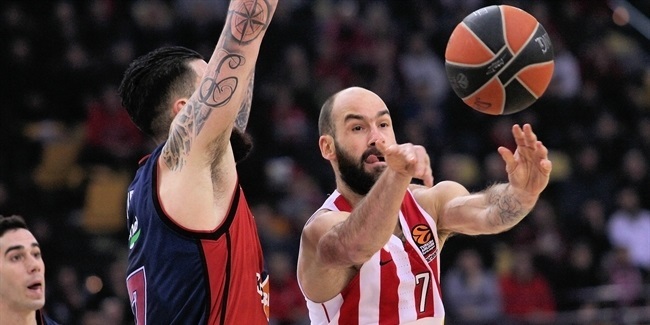 Olympiacos scored all of its 20 first-quarter points from close range and scored 38 of its first 40 points in the game by virtue of two-point shots. Nikola Milutinov and Zach LeDay combined for 22 of those 40 points and Olympiacos shot just 3 three-point attempts in the first 18 minutes. All were shot-clock beating heaves rather than planned three-point attempts. Add to the equation that Olympiacos dominated the glass, finishing the game with a 44-23 rebounding advantage, this game could not really finish much differently than it did.